Hi there, my darlings! If I've said it once, I've said it a million times--I LOVE the Fall! It's really my favorite season of the year and I pretty much wait all year for it. The summers are too hot for me and the winters way too cold but the Fall? Ah. the Fall, much like Goldilocks said in another scenario, is just right...well, usually, that is. When the temperatures are in the mid-50s, Fall is perfect for me...and my skin! But, just like so many things in life, Fall is also known for wildly varying temperatures, at least it is here in NYC. It can get really hot or really quite chilly and my skin often pays the price! When it's too hot, I often skip applying moisturizer (I know, I know...), at least at night for fear of random bouts of acne but then when the temperature falls, it means dry patches on my forehead and nose. What's a girl to do, right? Today, I'd like to share my thoughts on derma|e's Firming DMAE moisturizer which has been great for my skin this Fall! derma e® didn’t start out in the beauty aisle or the board room. c. The best vitamins and antioxidants. d. Healthy skin and healthy living... that is what derma e Natural Skincare is all about. e. Natural products that deliver results. Visibly firm, lift and smooth skin with this skin-firming formula. Rich in moisture and nutrients, this nourishing crème contains ingredients shown to help support healthy collagen and elastin, addressing loss of elasticity. 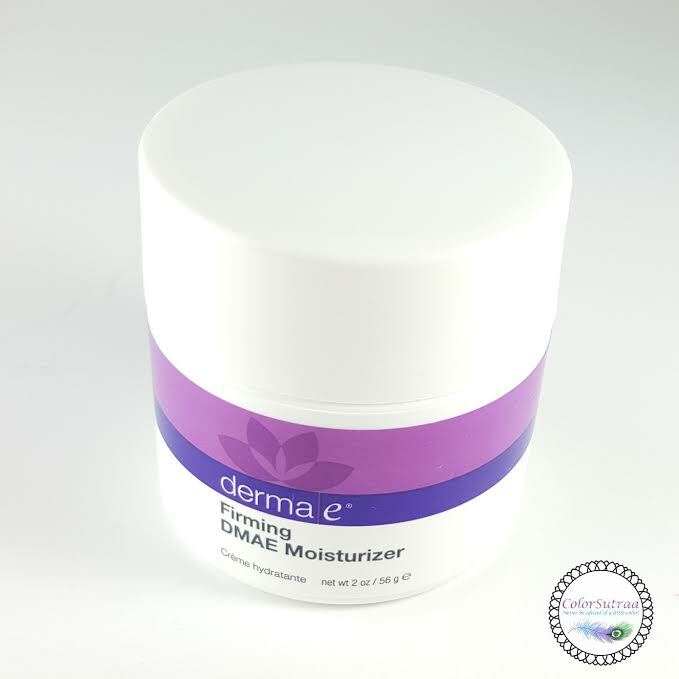 Please Note: DMAE and Alpha Lipoic Acid are highly effective ingredients that may cause an adverse reaction on some skin types. Before starting regular use, we recommend conducting a "patch testâ€ for sensitivity on a small area under the ear below the jaw line. If your skin shows an adverse reaction, discontinue use immediately. IMPRESSIONS : I have to admit, I was a little nervous when I read that note above since I have skin that sometimes freaks out and pops a random pimple so I actually did the patch test on my elbow before starting using this moisturizer--better safe than sorry! Turned out I didn't have to worry about a thing, my skin took to this so happily and I've been using this religiously every night for a little lover a week. No pimple in sight! Now, firming is not a huge concern for me (yet) and any firming action does takes a while to be visibly noticeable but I have to say my face felt plumper and more taut in the mornings. I also LOVE how fast-absorbing this moisturizer is--I think I've mentioned tons of times before how I HATE a greasy or tacky feeling on my skin, especially on my face. But, despite quite a rich, creamy formula, my skin just drank this up and felt so much better for it. If you're like me and prefer at least a mild fragrance to your skincare products, you'replied in luck--the product is delicately scented with a touch of lavender. I've been a loyal user of Oil of Olay for years, my love for it was pretty much passed down for my mother but this moisturizer is one I loved just as much! So there you have it, my darlings! 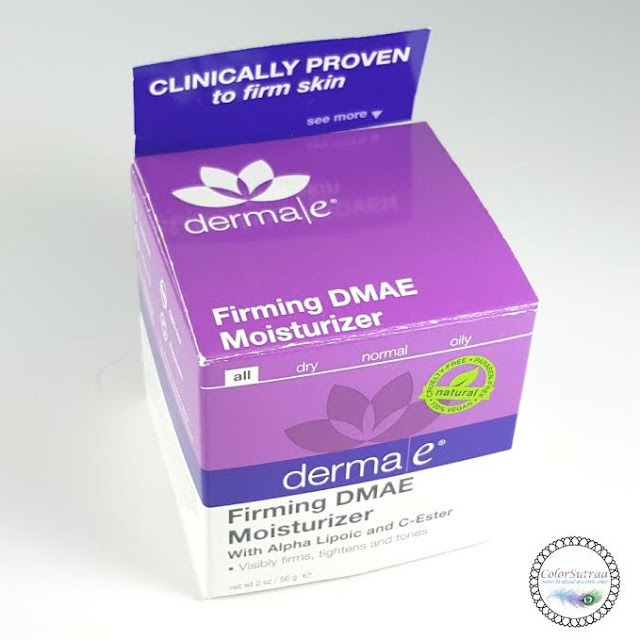 derma|e products can be found at select Walgreens across the US. 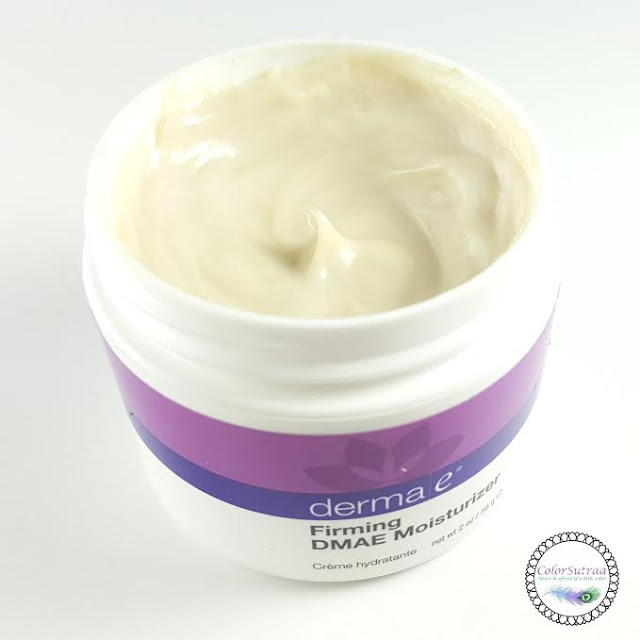 The Firming DMAE Moisturizer is priced at a pretty reasonable $22.50 for a full-size, 2 oz tub--a great price when weighed against its performance! But wait! You can go HERE to grab a $2 off coupon for your next purchase! What challenges does your skin face in the Fall? Tell me about them in the comments section below!